So far the blog entries have been all about you, my, “well it’s something to do at work, rather than the thing my employer is paying me to do” readership. This entry really will only be of use if you have booked an apartment for your stay. 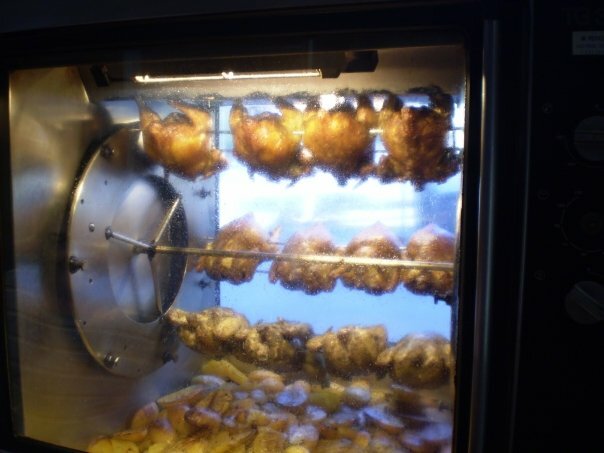 One of the great traditions here is that families buy their roast chicken from a local Polleria (Chicken shop) for Sunday lunch. I have stayed in a few places in the city and there isn’t one that comes close in terms of quality than the one in my area. 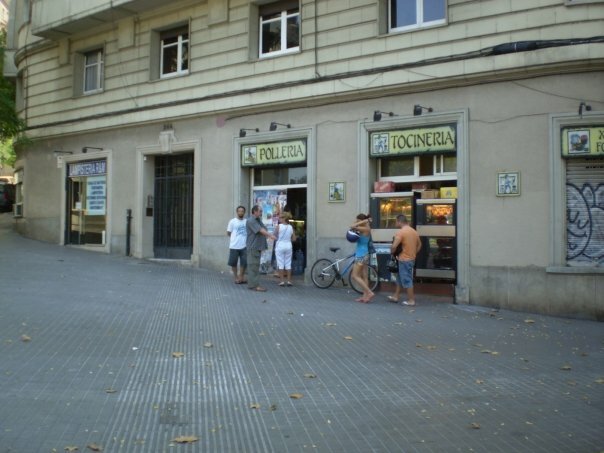 At 262 Gran Via, 10 mins walk from Pl Espanya is a polleria owned by a local legend, Miguel, also know as Diego and Maradona due to his physical appearance and eccentric behaviour when he’s got a wee drink in him. The recommendation is very simple, chicken, potatoes and a load of gravy, this will set you back a whole 10 euro and will be one of the best roast chicken dinners you’ve ever had. I have asked the wee man a few times what herbs an that he uses for the chicken but he won’t spill. 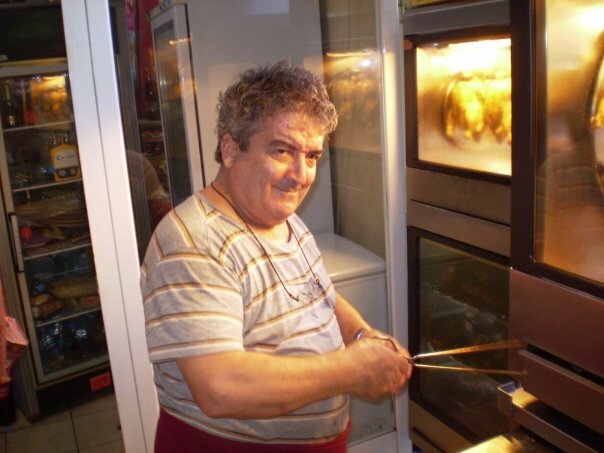 It may be patter but he says the shop has been in the family for 50 years and the recipe is a family secret. Not as entertaining a story as Jeremy Kyle Show family secrets but there you go. If you can, then do yourself a favour and stop by, buy a chicken and take back to your apartment for devouring. If you are here a few days or don’t just have hand luggage I’d also recommend his home-made sausage to take home, it’s the best Botifarra in the city. I’ve steered a few people to this place and the reviews have been uniformly raving. When my chums Martin and Rosaleen were over we had it for Sunday lunch and Martin asked me how to say he really enjoyed the chicken in Spanish.. Apologies for the self indulgent nature of the post, but if I am writing about great value food places in Barcelona it would be a crime to leave this place out. This entry was posted in Pl. Espanya. Bookmark the permalink. Noting all this down James. Could you post us a chicken,Jim ?